Lock in a great price for The Inn On Fifth – rated 9.1 by recent guests! 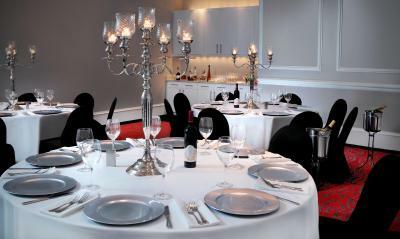 We are regular guests and love the luxury, the staff and the location. No breakfast is a bit of a bummer - even with a great breakfast and lunch place down the block... BIGGEST BUMMER - no almond, soy or coconut milk for coffee... that's a must these days - many, many non-dairy people out there. From the moment we pulled up and were so attentive greeted out front we felt incredibly welcomed. The front desk were equally welcoming and professional. Our stay was just too short! A simple breakfast but with all the essentials, perhaps a smoked salmon would make it perfect. 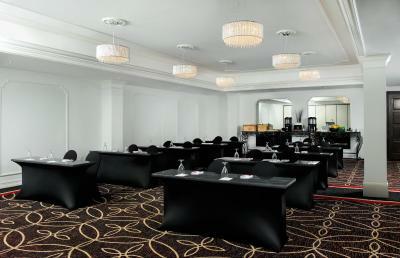 The hotel is very quiet, the staff pleasant, helpful and knowledgeable. Beautiful, centrally located hotel. Top of the line. The bed sheets and pillows were very soft. The shower was big. The pool and jacuzzi were designed nicely and the temperatures were just right. The pool chairs were very comfortable and the towels were replenished on time. Classy hotel located In the middle of simply everything. 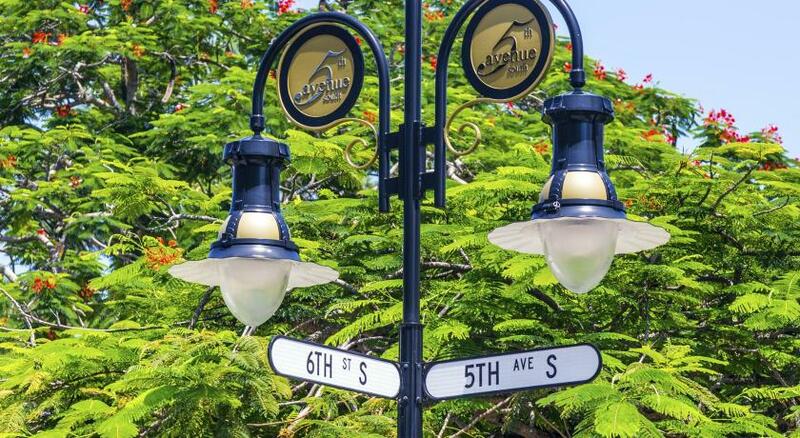 Close to fabulous restaurants, shopping and minutes from the beach! And the free valet parking was a nice surprise. Have been staying here for years. The location is perfect. The Inn On Fifth This rating is a reflection of how the property compares to the industry standard when it comes to price, facilities and services available. It's based on a self-evaluation by the property. Use this rating to help choose your stay! 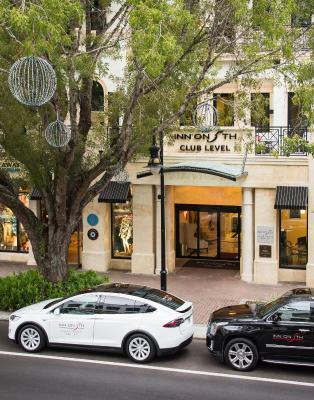 Located in Naples city center, this Florida hotel is Mediterranean-inspired and offers guests access to a full-service spa. Guests can also enjoy cable TV and seating areas in each room. A work desk and ironing facilities are standard in every room at Inn on Fifth. 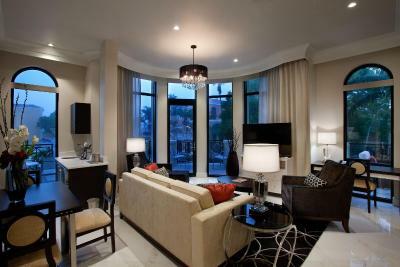 Guests are also provided a refrigerator, video games, and pay-per-view channels in select rooms. Spa on Fifth, the on-site spa, offers massages, facials and body wraps. Guests also have access to a fitness center, business center, and outdoor pool. Truluck’s Seafood Steak Crabhouse offers lunch and dinner and specializes in Florida stone crab. 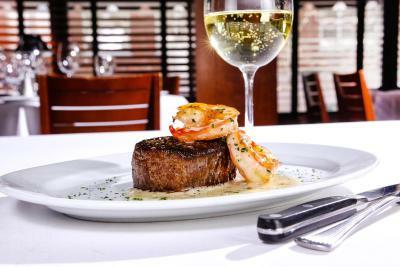 Open for lunch and dinner, Ocean Prime offers seafood, steak, and more. The beach is just 12 minutes’ walk from this modern hotel. Inn on Fifth is also located adjacent to Fifth Avenue South shopping center which features a variety of dining and shopping options. This property also has one of the top-rated locations in Naples! Guests are happier about it compared to other properties in the area. This property is also rated for the best value in Naples! Guests are getting more for their money when compared to other properties in this city. When would you like to stay at The Inn On Fifth? The spacious, 400-square-foot guestroom includes a Juliet-style balcony and European art. An en suite safety deposit box, coffee-making facilities, and a hairdryer are provided. Additional amenities include ironing facilities and plush terry robes. 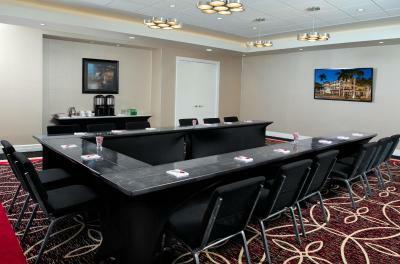 This room features a cable TV, iPod docking station, and seating area. At 600 square feet, this club-level guestroom includes a spacious living room with a sofa bed. A balcony, small refrigerator, and a private bathroom with a glass shower and separate bath are provided. Two 42-inch flat-screen TVs and one 22-inch flat-screen TV are provided. 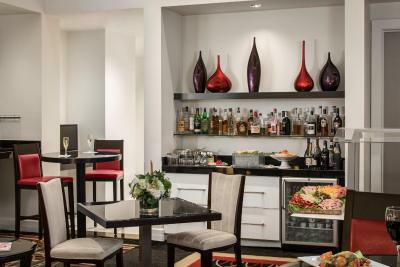 Guests can access the Club Lounge, which offers daily food and beverages such as deluxe continental breakfast, afternoon snacks, and evening hors d'oeuvres. The spacious, 400-square-foot guestroom includes a private balcony. An en suite safety deposit box, coffee-making facilities, and a hairdryer are provided. Additional amenities include ironing facilities and plush terry robes. The spacious, 400-square-foot guestroom includes doors that open onto either a pool or courtyard. An en suite safety deposit box, coffee-making facilities, and a hairdryer are provided. Additional amenities include ironing facilities and plush terry robes. The spacious, 400-square-foot guestroom includes a private balcony and European art. 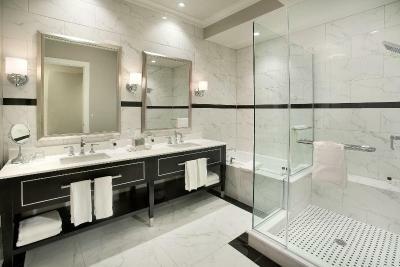 An en suite safety deposit box, coffee-making facilities, and a hairdryer are provided. Additional amenities include ironing facilities and plush terry robes. This spacious, 450-square-foot suite includes a Juliet-style balcony that faces Sugden Plaza or a private balcony that faces 5th Avenue South. An en suite safety deposit box, coffee-making facilities, and a hairdryer are provided. Additional amenities include ironing facilities and plush terry robes. At 650 square feet, this club-level guestroom includes a spacious living room with a sofa bed. A balcony, wet bar, and a private bathroom with a glass shower and separate bath are provided. Two 42-inch flat-screen TVs are provided. Forbes 4-Star rated, AAA 4-Diamond rated, Conde Nast Travel Award, rooftop pool, 7 blocks from the Gulf of Mexico, and newly renovated rooms. We also have the most friendly team in the Naples market. House Rules The Inn On Fifth takes special requests – add in the next step! The Inn On Fifth accepts these cards and reserves the right to temporarily hold an amount prior to arrival. 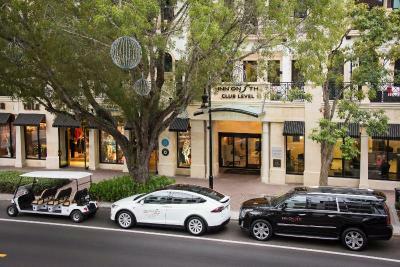 Complimentary transportation is available within a 2 miles radius for Club Level Guests. The gym needs an update and needs to be regularly serviced. I do not think it is value for money as it’s very expensive for room only. Roughly £400 pound a night. No breakfast included for the price. You are paying a lot for it’s location. No bar that you could go and sit. Tiled Floor of shower cubicle should be non slip and also no grab handles in situ. There was nothing not to like,. Great location and great pool. Overpriced, carpet in the room was dirty and sticky and there were no complementary slippers. En suite was awkward but had big shower. Our room was at the back with a view of the parking lot. Some of the toiletries had already been used. Not worth the money and not five star. No restaurant or bar. I wasn't aware there was no restaurant for breakfast. Very Spacious room with large bed. Lovely Christmas decorations with Poinsettas every where. Location is awesome! Able to walk to everything. Staff was very friendly and accommodating! We arrived at 8am and they had a room for us!